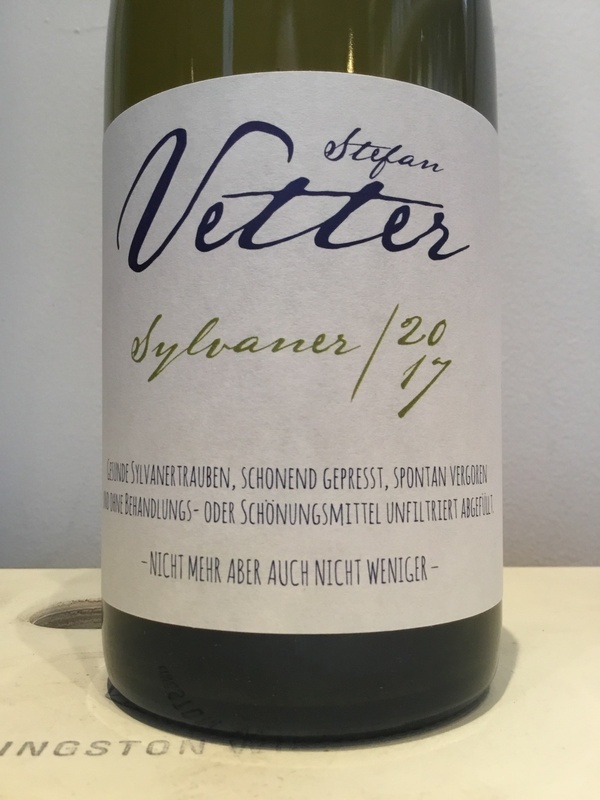 This wine is 100% Sylvaner and what Stefan Vetter does best. Not a particularly aromatic grape, Sylvaner's strength is textural, saltiness, and acid. When done very well, Sylvaner reflects differences in terroir in the best way. "Stefan Vetter is f-ing punk rock. In other words, Stefan has done nothing that has even the slightest commercial logic to it. These wines are a shocking, brilliant, revelation. Unlike the dramatic and steep slopes on the Mosel, the feeling in Vetter’s vineyards is more rustic and pastoral. The landscape is more bucolic, with ancient, crumbling terraces nestled quietly and subtly in the hills, surrounded by all manner of wild growth – trees, bushes, orchards, etc. Vines grow here over a base of sandstone and limestone. It’s like the Mosel collided with the Pfalz or Baden and spat out Franken. 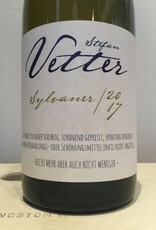 It’s no coincidence that Stefan Vetter would be drawn to vineyards like these; his temperament is a perfect match; slow and careful, with a methodical attention to detail, and not shying away from hard work. He seems physically drawn to these old terraced sites; he wants to work them and he wants to save them. He feels the greatness and the history, and he’s willing to do the hard work to let it show through in the wine. Stefan is at the forefront of the natural wine movement in Germany. As such, he farms both organically and biodynamically, as would be expected. As he works only old vines, only in steep, terraced sites and everything is done by hand. Pressing is done gently with either an old screw press or a basket press and can take four to six hours. For the most part, Stefan picks earlier, looking for ripe, clean grapes with higher acidities.The juice may see a short bit of skin contact, but for the most part it is just moved directly into old barrels – or one of the few newer 300 or 600-liter barrels Stefan has acquired directly from Stockinger. During the élevage, the wines are topped off, but that’s about it.The wines are bottled without filtering and with a minuscule addition of sulfur for stability."